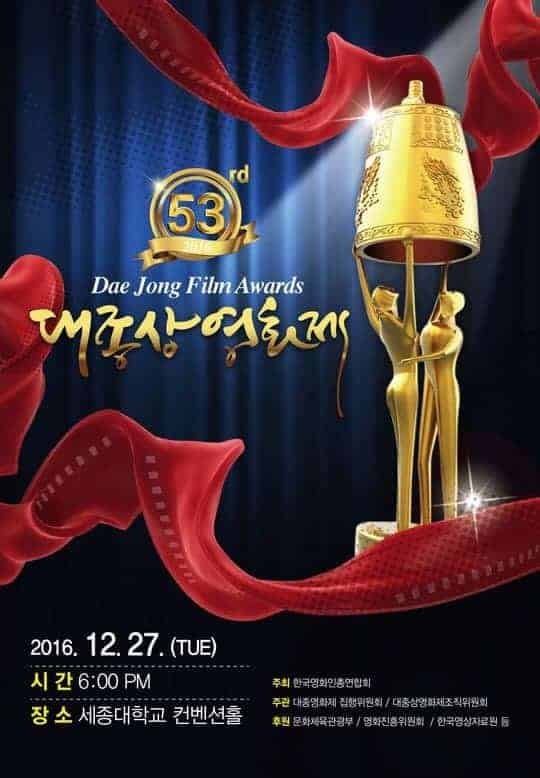 The 52nd ceremony was held on December 27, 2016 at Sejong University’s Convention Center and hosted by Kim Byung-chan, Kong Seo-young, Lee Tae-im. “I’m happy to receive this award, but my heavy heart takes precedence. There’s been a lot of talk about and problems with the Grand Bell Awards, and I feel like these problems have still not been addressed,” he said. He called for action to be taken, and hopes that the industry will eventually come to an understanding. The ceremony has been criticized for its fee-based voting system, poor accounting practices, and was supposedly boycotted last year for announcing -but later retracted- that only attendees could win awards. Similar to last year, many of the nominees and subsequent winners were not in attendance.